More good news for the legacy of landscape architects Elizabeth Lord and Edith Schryver. On June 10, 2015, control of Gaiety Hollow, their home, garden and studio, was transferred to the Lord & Schryver Conservancy in Salem, Oregon. The property was acquired following a two-year capital campaign that received extraordinary support from local individuals and regional foundations. 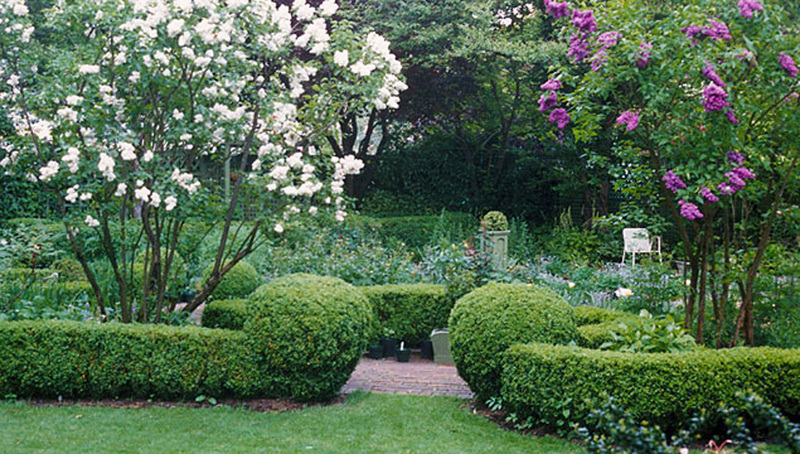 While fundraising continues, the Conservancy will also focus on several important and interrelated needs – creation of a long-term treatment plan to guide the garden’s restoration, program development and the hiring of staff. In advance of the treatment plan, diseased trees have been removed, there has been restorative pruning of the extensive signature boxwood hedges, and an irrigation system was installed. As noted in a previous Landslide update, the Conservancy plans to develop the site into an educational center for the public, with a program of activities reflecting Lord and Schryver’s legacy as landscape architects, writers, educators, civic leaders, and pioneers in the profession. They created more than 250 designs during their 40 years of active practice (1929-1969), including domestic, institutional, and civic plans. Tours, workshops, lectures, and study groups integrating home and garden are some of the proposed activities.